There has been much coverage through the years of punk, post-punk and the acid-house era of the early 90s. But the scene surrounding independent guitar-based music of the 1980s in Britain has been largely overlooked. A Scene In Between sets out to excavate the sartorial treasures of this era, spanning Postcard Records, Creation, C86, shoegaze, and the multifarious sub-scenes that sprouted in between. Made up of photos, both amateur and professional, contributed from archives of original scenesters and band members of the time, it looks at the charity shop chic, anoraks, bowlcut hairdos, leather trousers, stripy tees and ‘60s threads that were so popular on the scene, and which are now making such a dramatic comeback. 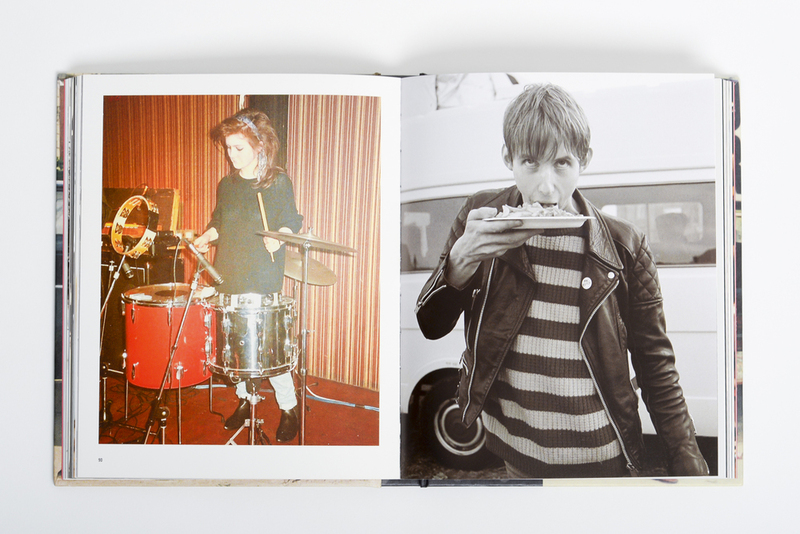 The book features hundreds of previously unpublished photographs of bands including Primal Scream, Spacemen 3, The Smiths, My Bloody Valentine, The Jesus and Mary Chain, Talulah Gosh, Vaselines, The Pastels and countless others. Interviews and ramblings from members of The Pastels, Talulah Gosh and My Bloody Valentine make this a must have for musos and fashion aficionados alike.